Did you know that you should wash your pet bed at least once a week? Here are some tips on How To Wash And Clean A Pet Bed! 1. Check to see what water temperature the bed should be washed at, as not all can be washed in hot water, depending on the type of material. 2. Remove any outer shell that may be casing the foam or stuffing. Place in the washer by itself and set to “small” load on gentle. 3. Use a mild detergent, such as Dreft. Your pets skin can irritate easily, too, sometimes more so! Do not use bleach. 4. Place outside in the sun to dry, if possible. This will help kill any bacteria that may be leftover. If you choose to hand wash the pet bed, use a mild soap or baby shampoo and a washcloth under hot water. Again, set outside in the sun to dry if possible. Another thing you can do is make your own DIY pet odor-eliminating air freshener with essential oils! I love this recipe because it doesn’t have any harmful chemicals and is completely natural! 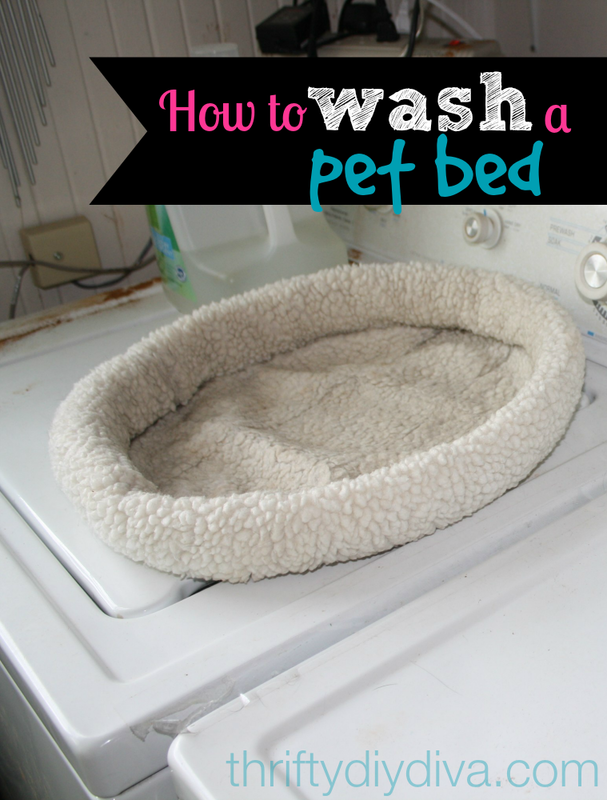 Do you have any special tips on how to wash a pet bed? What did you think of these tips? Leave us a comment! It makes a lot of sense to often wash my pet’s bed. I think I need to vacuum the bed also before the wash treatment.